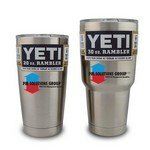 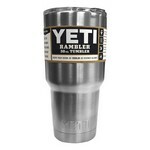 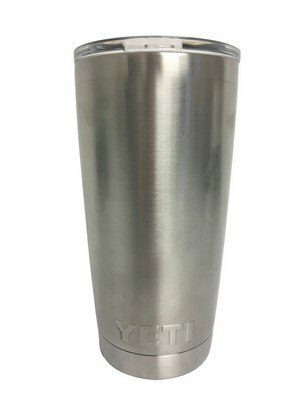 The YETI 20 oz. 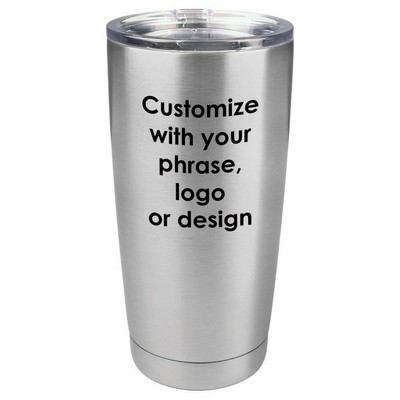 Rambler Full Color Customization Tumbler gets you through your day. 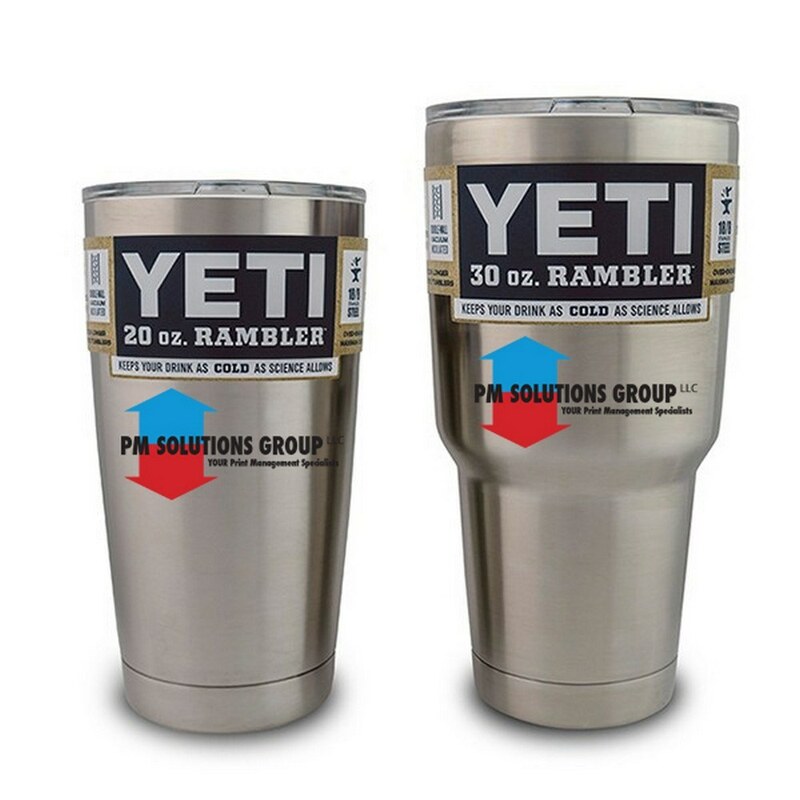 Your morning brew stays hot, and your afternoon iced coffee will stay cold - so take your time sipping. 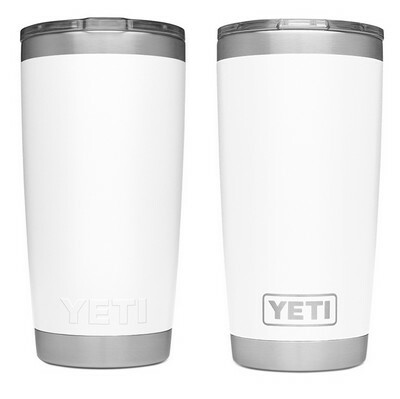 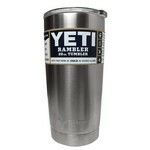 Yeti kitchen-grade stainless steel with double-wall vacuum insulation will protect your drink whereever you decide to take it. 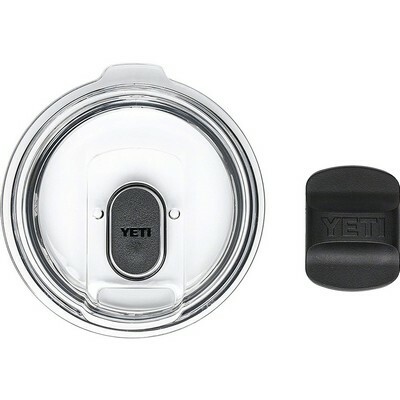 The magnet on the included MagSlider™ Lid adds an additional barrier of protection. 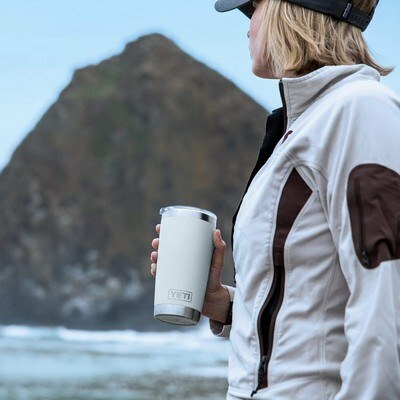 This lid keeps your drinks contained and preventing heat or cold from escaping, (however please note - this magnet component is not leakproof and will not prevent spills). 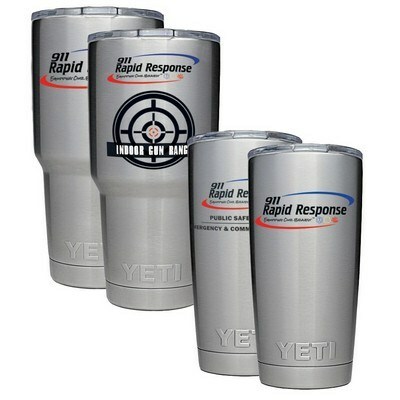 The stainless and DuraCoat™ colors won't let your tumlbers peel, fade, or crack.